When you order from Organica J – all boxes, packing envelopes and packing materials are recycled wherever possible. The bubble wrap is recycled/biodegradable. Any packing materials are also recycled. Many of the retail outlets that stock our products work with us, to provide us with boxes and packing materials, that are in tip top condition, but they cannot use – ultimate recycling! The correct charge will be automatically added to your final order total. All European countries are £5.99 p&p for orders under £30. 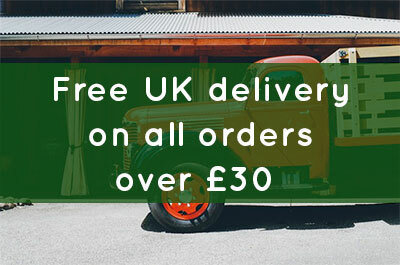 Orders from £30-£79.99 are £9.99 and £80 and over are £19.99 (up to 5kg weight). For larger orders from my European customers – please email for shipping costs. If you are outside Europe, please email us to check if we are able to dispatch to you, thank you. NB. Retailers and therapists – please call for details of wholesale shipping prices, thank you. You have a statutory right to a ‘cooling off’ period. This period begins once your order is complete and ends 14 working days after the goods have been delivered to you. If you change your mind about the goods within this period, please return them to us, in the same condition as they were sent out, within 7 working days of receipt. You are responsible for paying return shipment costs if goods are returned for this reason.